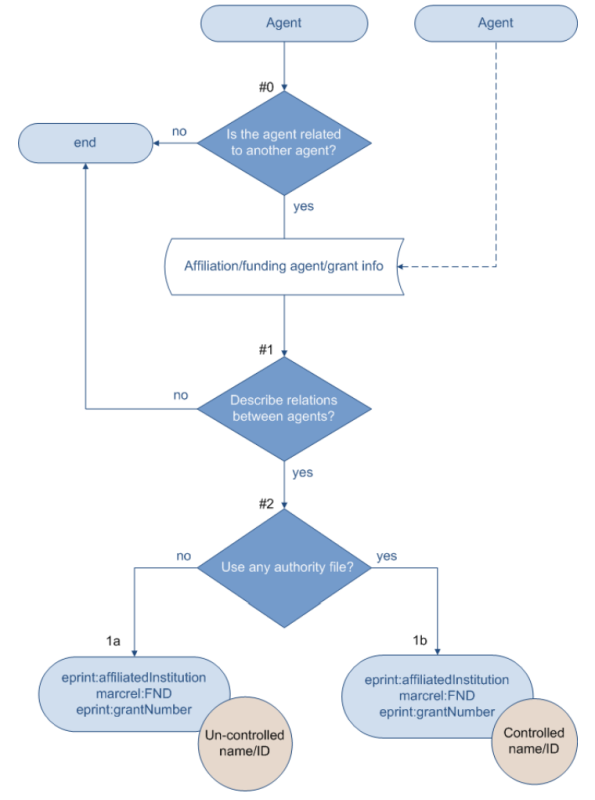 Relation being described: The agent is related to another agent, specifically affiliation and funding. When an agent is related to another agent, a decision needs to be made regarding whether the relations between the two agents should be described. There could be various types of relations between agents. 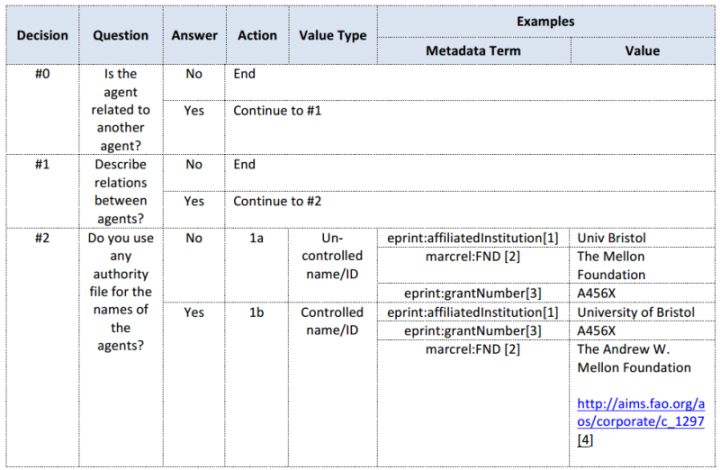 The available metadata terms listed below focus on the affiliation and funding information and do not form an exhaustive list. Consult MARC List for Relators (marcrel) http://id.loc.gov/vocabulary/relators.html for more types of relators. It is highly recommended that agents always be represented by their identifiers or controlled names.